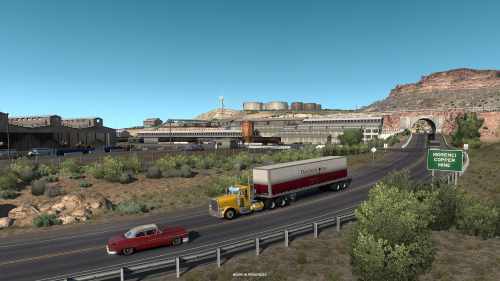 ATS is now updated to version 1.32 as a beta. The update brings most of the upgrades that were added to ETS2 last week. The most important are trailer ownership. 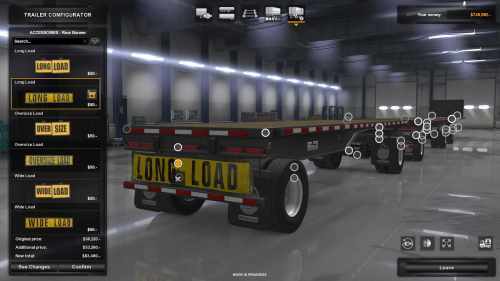 You can now buy, tune, paint and use trailers for yourself or your drivers. If you don’t lock your trailer for yourself, you might have the surprise to not find a trailer that you left in the garage, because one of your drivers might be using it. The patch also brings trailer cables on AI trucks and one new restriction – long trailers (53 feet – 40+ feet from kingpin to rear axle) are now forbidden in California. On the US-191 you’ll discover Morenci Mine, the biggest copper mine in the United States, by the newly added small city of Clifton. Read the original SCS Soft post about the patch here.